It wasn’t until March 2017 that I had decided this was it. I had to do something I’d never done to experience results I never had. I started off with a 30 Day Raw Cleanse (30/30 Cleanse). I could only eat raw vegetables, fruits, nuts, and seeds. It wasn’t easy, but I lost 32 pounds that month. After my body’s heavy detox, I knew I couldn’t go back to the diet I had before. After the cleanse, I decided I would go VEGAN, which meant I could eat most of the raw foods I had been eating, but now I would make my ingredients into savory, delicious, cooked dishes. I had always liked to cook, so I figured I just had to learn how to create amazing vegan dishes. 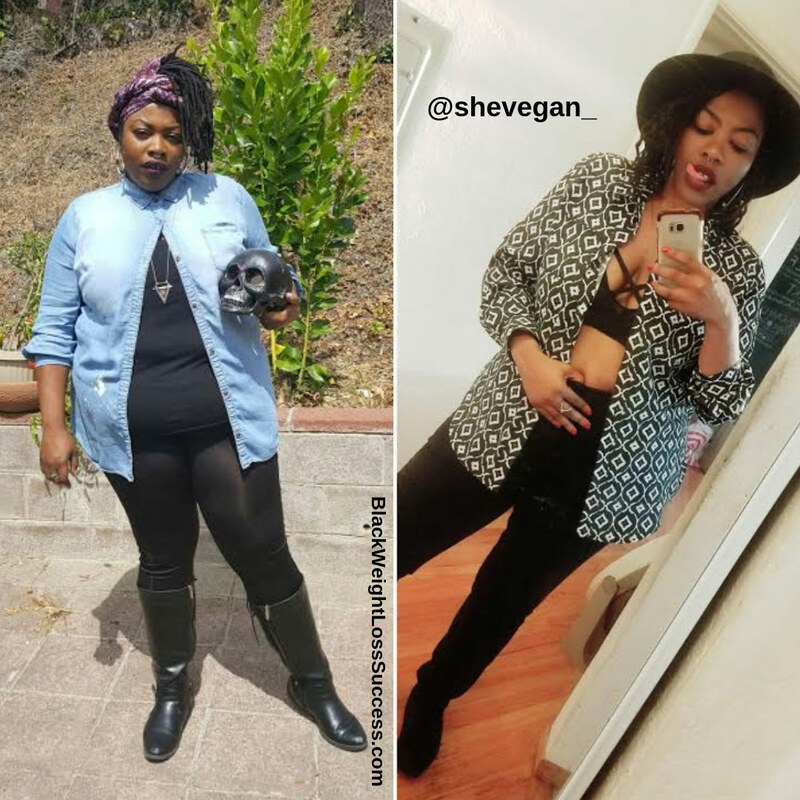 After my first year just eating VEGAN foods, learning to cook again, trying new products, and trying new restaurants, I had lost 80 pounds! I’m 5’9 and have never been a small girl or woman, so in a way, I was discovering my body and shape for the first time. I honestly didn’t start an exercise routine till year two. I started off by taking my dog on walks in my neighborhood (15-30 min walks) 2-3 times a week. Now, I jog about 5 miles/day, 6 days a week. Exercise is essential for body functioning and overall health. If you don’t move it, you will lose it. I’ve never been a huge fan of gyms, so I do most of my workouts at home or in nature. March 2019 marks my 3 year VEGAN anniversary. I’ve lost over 100 pounds! Going vegan was honestly one of the best decisions I’ve made in my life. Every year, my reasoning changes. At first, I just wanted to lose weight. Then, I wanted to create a lifestyle and keeping myself from regaining the weight. Now, I see being Black and Vegan as a political statement. I am tailoring my diet to be more plant-based and alkaline. When you’re coming from where I’m from, you realize that change is a lifestyle. You must create healthy rituals to maintain what you’ve worked for. You must learn how to motivate yourself during your period and at the holiday dinner table. You must allow yourself to fail but not self-sabotage. You must speak louder than your fears. 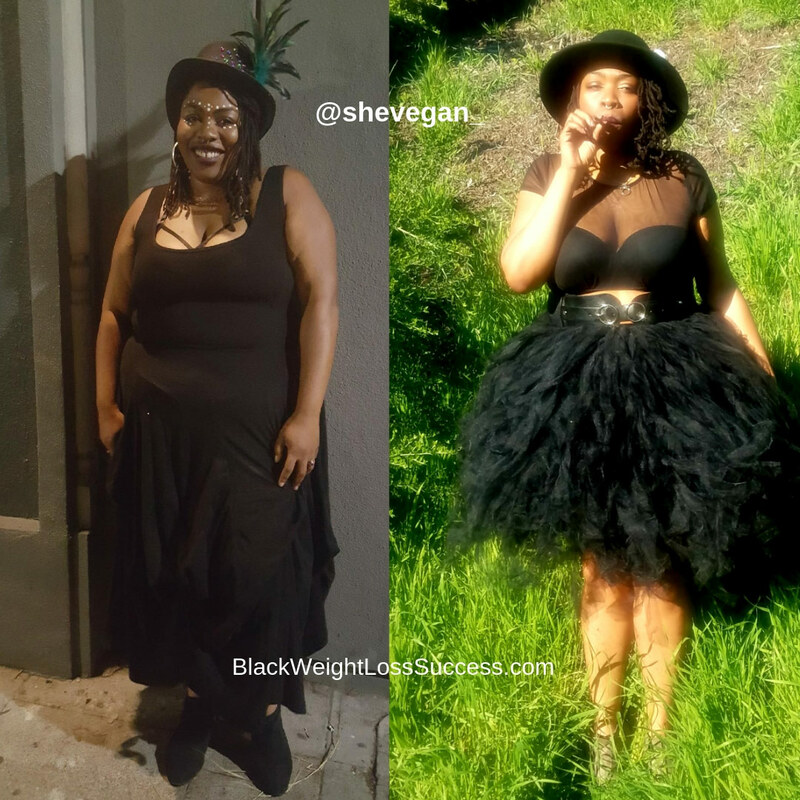 To ALL WOMEN, especially black women, trying to lose weight, Know that you are WORTHY in your body…in every stage and size. Know that CHANGE doesn’t happen overnight. Know that every body has its own magic. Our only task in this lifetime is to discover that magic and share it with the world.